Are you ready for Pink Out? 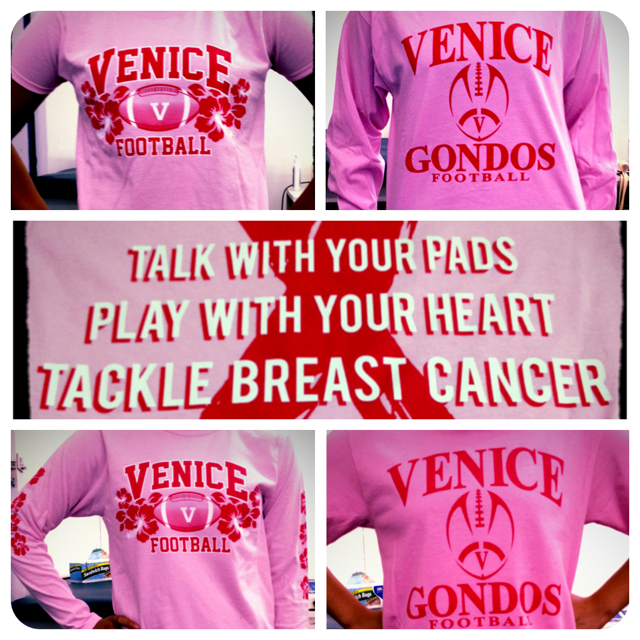 Next Friday, October 26, will be our 3rd Annual Pink Out Football Game in support of Breast Cancer Awareness and the Susan G. Komen Foundation of Los Angeles. Please be prepared to work, as we will need game coverage, information tables staffed and roaming fundraisers. This is a huge day for the Sports Medicine Team as we try to bring greater awareness and raise money to help support early detection, diagnosis and treatment options right here in Los Angeles. Our Pink Out shirts are available for purchase through the Sports Medicine Team or in Shop-6. There are male and female versions in a short sleeve option for $15. Also a male long sleeve design for $20.00 and a female long sleeve design for $25.00. Join the Sports Medicine, Football, Drill, Cheer and Volleyball Teams as they support this wonderful cause.